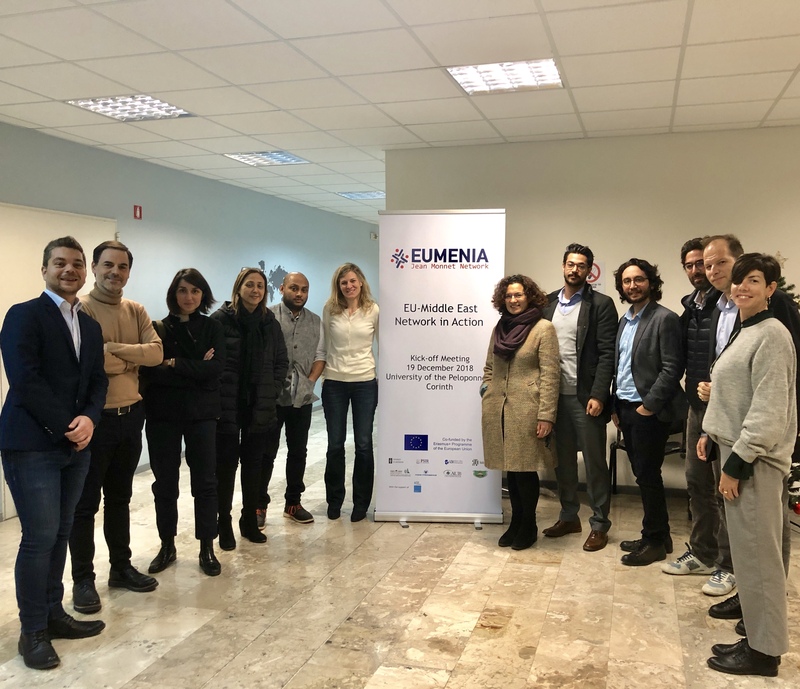 The EU-Middle East Network in Action (EUMENIA) was kicked-off on 19 December 2018. All partners gathered together for the first time at the University of Peloponnese in Corinth, Greece to discuss details about the working programme of EUMENIA. Three main activities were identified namely Education, Research and Dissemination which will target students and academics, think tanks, civil society, NGOs as well as various policy makers and officials.